A costume action film Yang's Female Warriors, featuring child actors, is releasing on Jan 25 in China's cinemas. 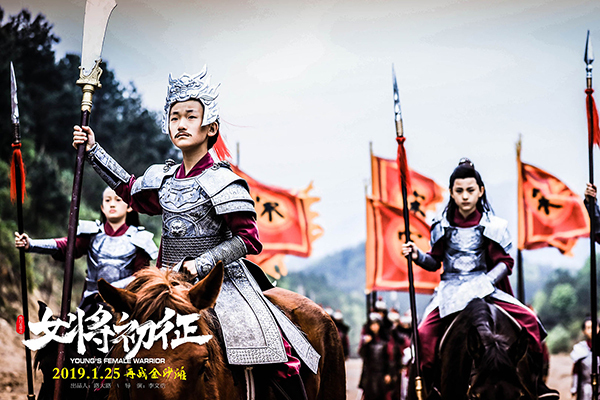 The film is based on the story of the generals of the Yang family in early years of Song Dynasty (960-1279). Li Ruozhu, 12, plays Yang Ye, the head of the family. Besides, he also sings the theme song of the movie.